Last summer, movie star-king Dwayne (The Rock) Johnson announced plans to team with director Robert Zemeckis (Back to the Future) and screenwriter Randall Wallace (Braveheart) to make a blockbuster called The King, depicting the life of Hawaii's first monarch of all the islands—Kamehameha the Great. A good match for the trio at first glance: Johnson is of Polynesian descent and he's a large man, though, at 6'5", he's a head shorter than Kamehameha; Zemeckis can go 'back to the future' to show how Hawaiian history foretells the future of our planet; and Wallace, an Oscar winner, can depict fantastical battle scenes that would look more like Avitar than anything the rest of the globe has seen. The bad news: The odds of this story seeing theaters are small. Google it. 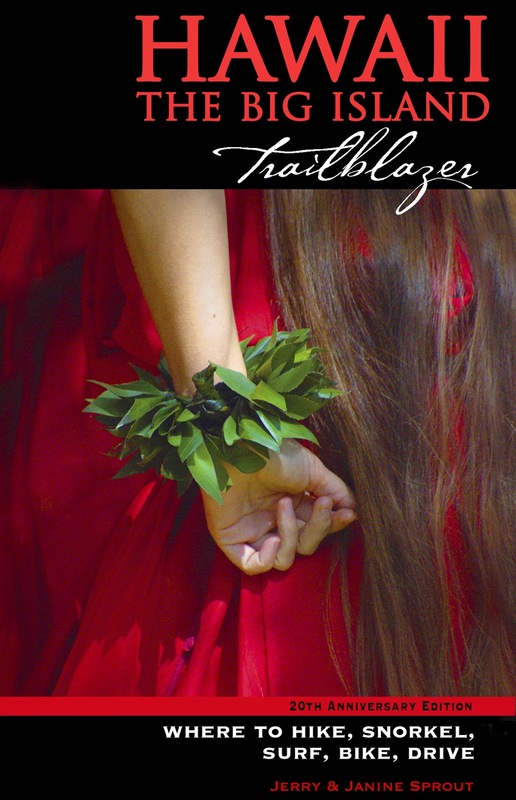 So, instead of a 100-million dollar movie, here is a free bio of Kamehameha, as excerpted from the Hawaii the Big Island Trailblazer guidebook. 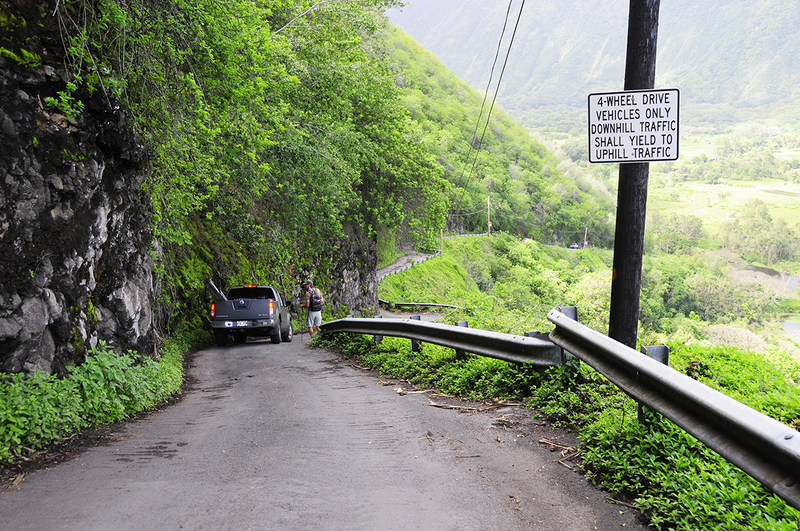 A steep four-wheel only road is the only way into the valley. The walk down is 20 minutes. ...Intrigue surrounded his birth. He had been slated as a future king by his uncle, the Big Island’s Chief Kalaniopu‘u, but another chief in Hilo had other plans, and had vowed to slay the infant. 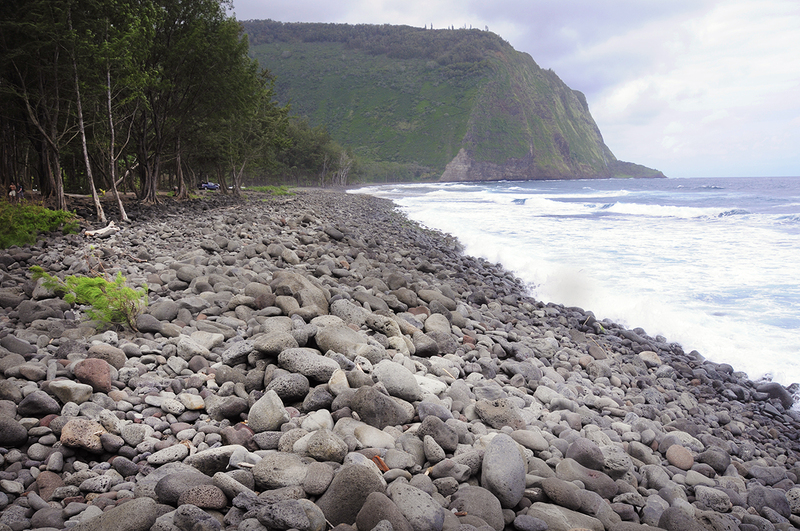 To save the baby’s life, Kamehameha’s mother was secreted away to a forlorn, windswept spot in north Kohala. The birth took place in 1758, a date later confirmed by the passing of Haley’s Comet. Kamehameha spent his youth in hiding but hardly in hardship, since much of his time was spent frolicking on his surfboard and with the wahines of Waipio Valley. Cliffs surround Waipio Valley, making is safe from enemy attack. ...At age 20, he and Keuhaupio were on the fringes of a great battle in Maui, the Battle of the Sand Hills, at which the Big Island’s army ignored the advice of the kahunas and were killed in great numbers. Kamehameha and his mentor defeated a small army of Maui warriors in the nearby village of Olowalu. Then, as they retreated from this foray, offshore they sighted the towering white sails of the Endeavor, the ship of British Captain James Cook. Coincidentally, Cook had returned to the islands after making the first contact with Hawaii a year earlier, 300 miles north in Kauai. Kamehameha and Keuhaupio decided to approach and board this alien vessel. Water equals life. The Hawaiians lived for centuries in valleys like Waipio. ...In the next few months, Cook was to land in Kealakekua Bay during the peace-and-fertility festival of Makahiki. The British captain was heralded as the god Lono—only to be bludgeoned to death on the bay’s shores just weeks later in a scuffle over a stolen dory. Western ships would not return to the islands for six years. 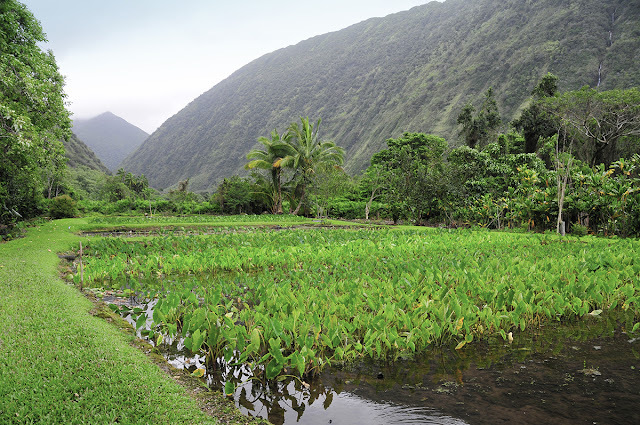 Taro is grown in Waipio today, one of the 30 or so plants the Polynesians brought from Tahiti. In ancient times, the fields yielded all manner of tropical fruits. ...By 1785, Western ships had begun stopping in the islands to provision for trading journeys to China. Conflicts arose, one of which resulted in the massacre of scores of villagers on Maui in 1790. As revenge, and also for his own personal gain, Kamehameha’s warriors captured a vessel, the Fair American, offshore the Big Island. Conscripting two of the ship’s officers as aides, Kamehameha sailed the Fair American to Maui. Using the ship’s cannon, he routed the forces of the Maui Chief Kahekili’s son, Kalanikupule, in the famous battle of the Iao Valley. The bodies of fallen warriors were said to dam the stream and turn its waters red. 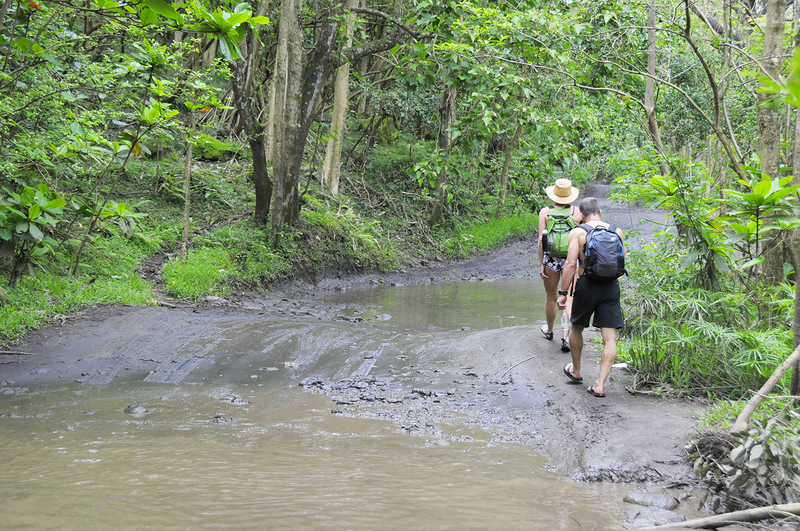 You can cross the valley floor to reach Muliwai Trail out of Waipio, into a snarled wilderness on a roadless coast. ...Kamehameha did not attack Maui until 1794, after the death of its Chief Kahekili, a man who claimed to be Kamehemeha’s father. (The intrigue among the ali‘i is Shakespearean.) The following year, his forces took Oahu. 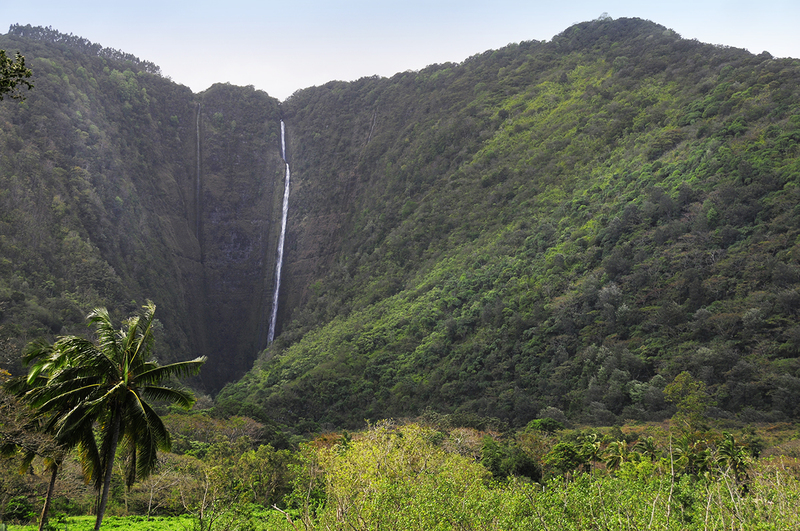 A year later, in 1796, a huge storm thwarted his invasion of Kauai. To prepare for another invasion that would bring all of Hawaii under his rule, Kamehameha and his sprawling retinue went to Lahaina on Maui, where a fleet of 1,000 war canoes was constructed, and where the young leader also reacquainted himself with life’s pleasures, such as surfing and cavorting. Once again using conscripted Westerners, he built himself a brick palace. Showing his humility, he labored in his gardens alongside the commoners. 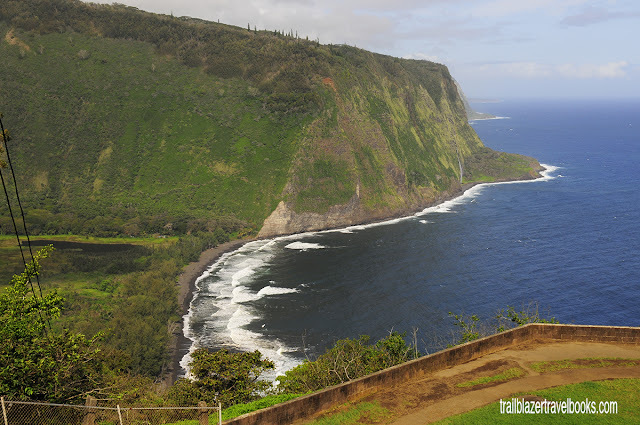 Wave actions normally keeps sand offshore Waipio. Before an epic tsunami in 1946, a huge sand dune calle Lalakea ('white fin') used to span the mouth of the bay and protect the valley's fields and fish ponds. ...In 1812, the 44-year-old king returned to his Big Island home, and made Kailua the capital of Hawaii. He appointed governors for all the islands’ major land areas, and supervised the sandalwood trade with ships bound for China. 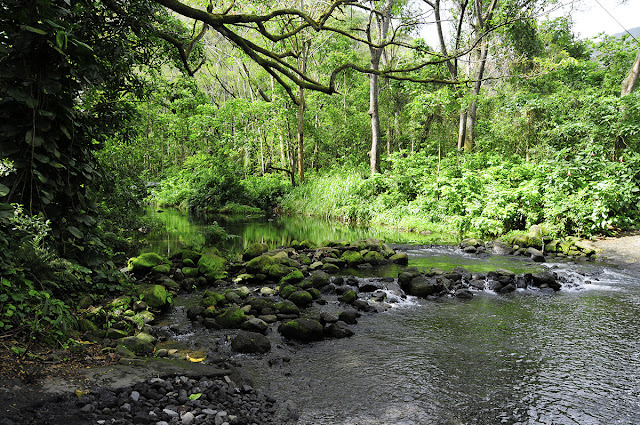 (The fragrant sandalwood was Hawaii’s first cash crop, but the forests were denuded within a decade.) Kamehameha’s heir, Liholiho was educated in Kona, and his youngest boy, later Kamehameha III, was born in 1814. In nearby villages, Kamehameha built huge fishponds that were a marvel to Western visitors. Hawaii the Big Island Trailblazer points the way to Hawaii's historic and ancient sites, as well as trails, beaches, and cool shopping towns. Look for it on Amazon.com. ...The rule of the islands was left to Kamehameha III, then only 11 years old. The queen mother stood watch over the boy until he matured into Hawaii’s longest-ruling monarch. He died in 1854. The native population diminished from some 800,000 people to around 60,000 during the 70 years of European and American contact. In an effort to adapt, the royal family embraced Western religion, and established the best school system west of the Rocky Mountains. The literacy rate was among the nation’s highest after only a few years, although the Hawaiians previously had no written language. The Hawaiian nation was able to withstand the raucous whalers and traders, but the emergence of the sugar cane industry in the late 1800s, to make a long story short, was to do in the monarchy. Hawaii was annexed as an U.S. Territory in 1893.